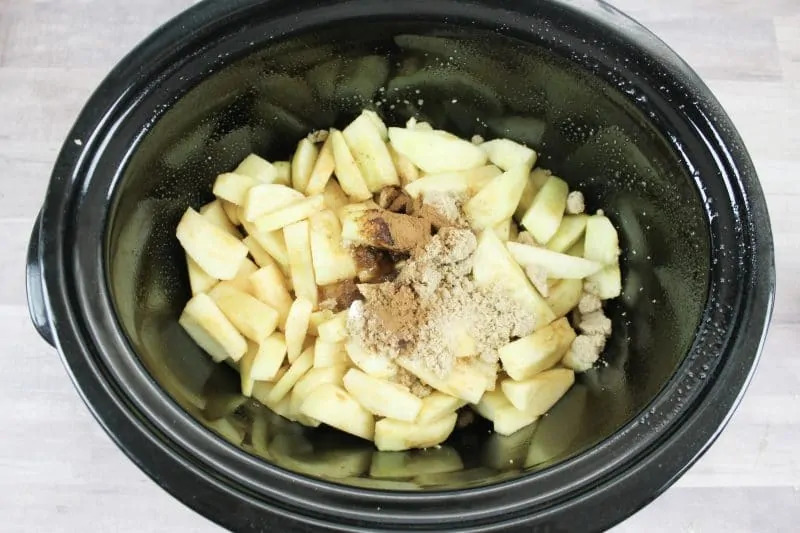 If you love apples, try this delicious homemade crockpot apple butter recipe. You’re going to love how good it tastes on your favorite breakfast bread! Fall is the perfect season to enjoy a sweet treat anytime of the day. 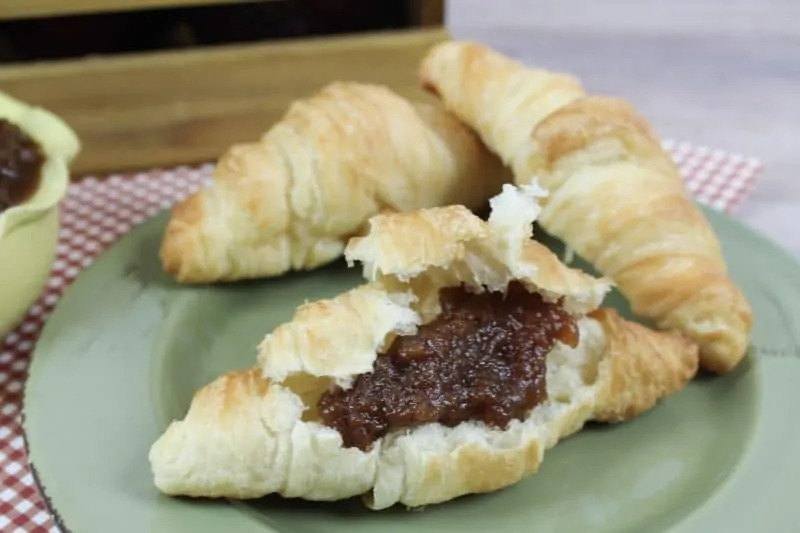 Even breakfast can be a time to enjoy a sweet addition to your biscuit, croissant, or toast. Of course, when it comes to fall, apples reign supreme. There’s apple pies, candy apples, apple cider, and so much more. However, a great addition to your breakfast is apple butter. 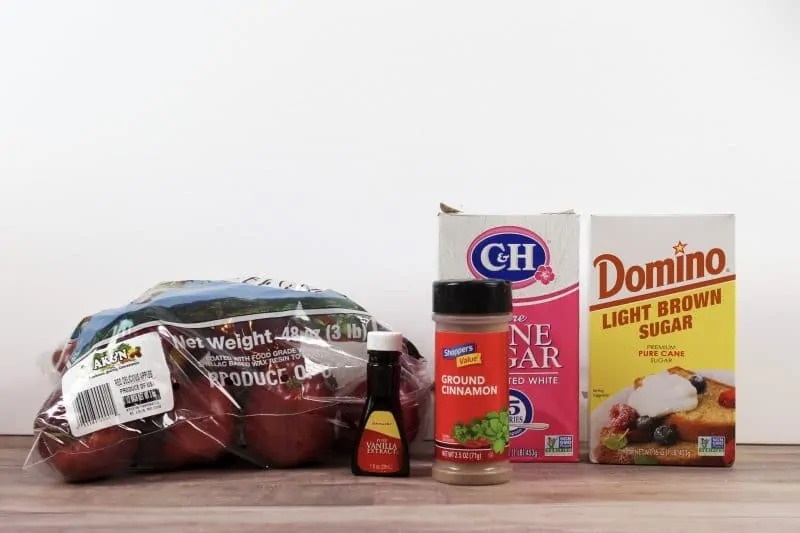 While you can often find this delicious treat in farmer’s markets and specialty shops, you can also make your own homemade apple butter right in your crockpot. 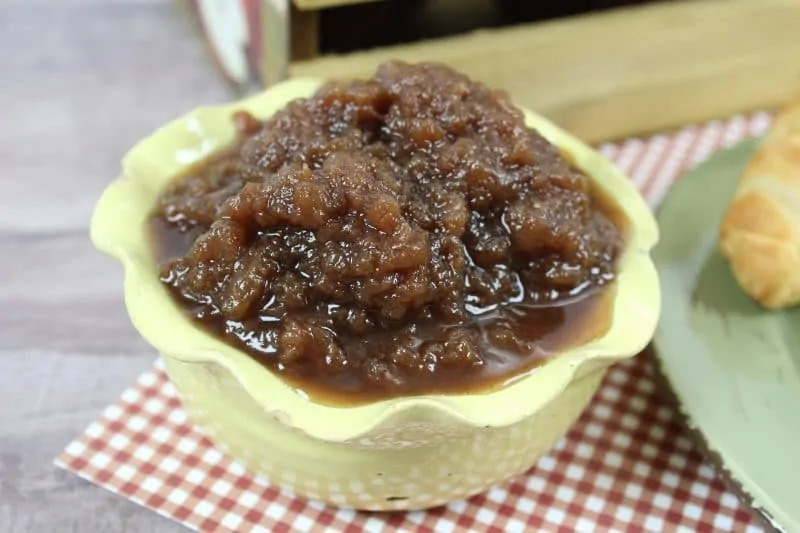 Now, making your own apple butter may seem like a larger task than you’re willing to take on. But, you wouldn’t believe how simple it is. 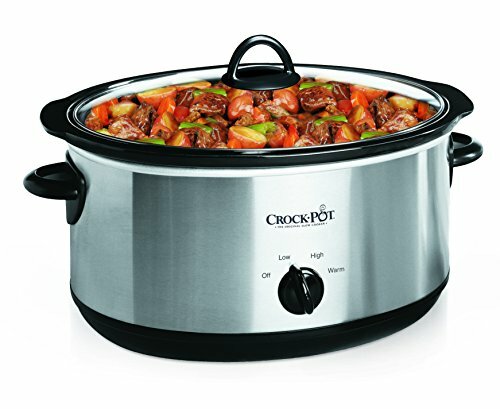 Thanks to slow cookers, you can make so many delicious foods without hardly any work. 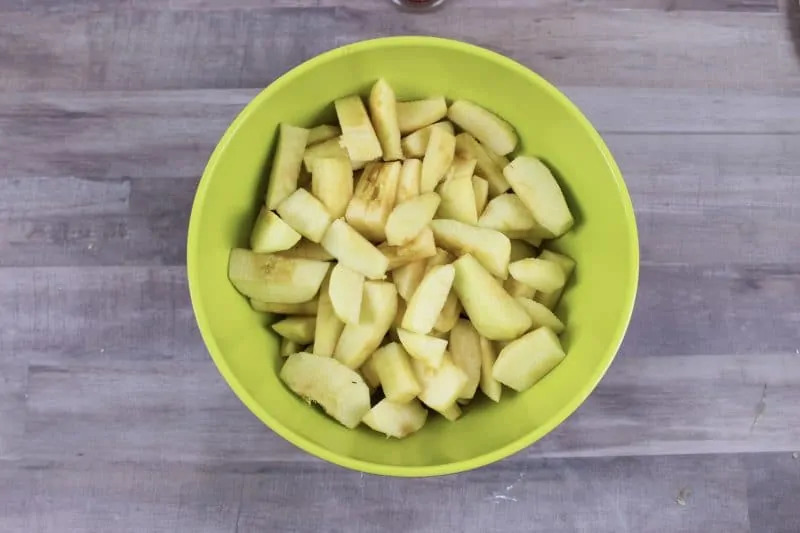 In fact, the hardest part of this recipe is peeling and slicing the apples. Once that’s done, the Crockpot will do all the work. 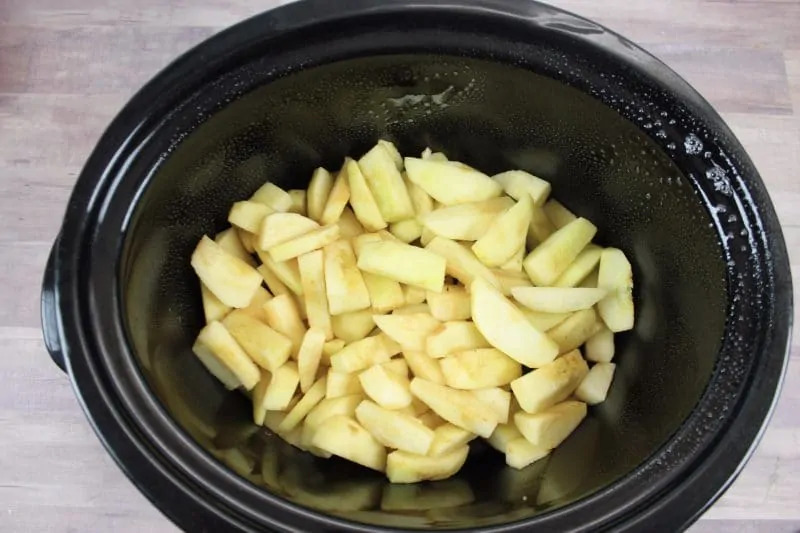 In face, you can easily make this an overnight crockpot apple butter recipe by leaving the apple butter cooking on low in your crockpot overnight. This way you will wake up to warm and delicious apple butter, and the scent of apples and cinnamon filling your house. What’s really great about this recipe, other than the ease of preparation, is how simple the ingredients are. You don’t need any special ingredients that are hard to find. In fact, you probably have all the ingredients in your kitchen. Apples, sugar, cinnamon, and vanilla are all you need. 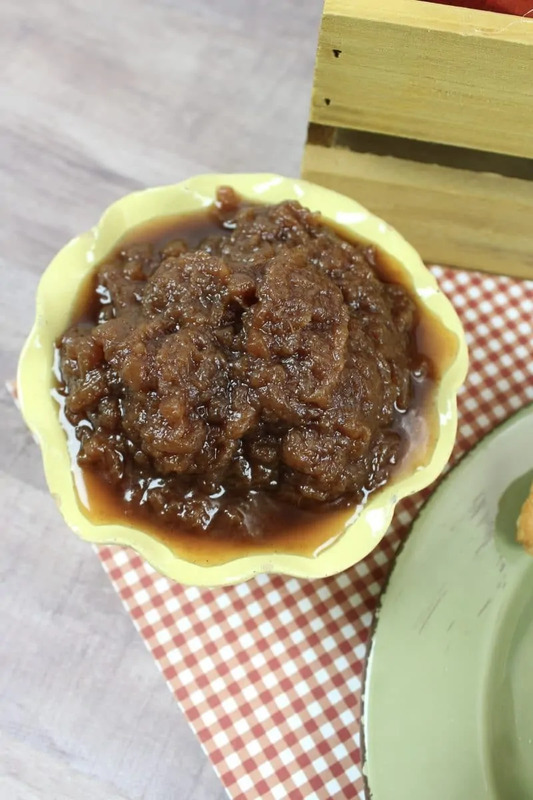 Wouldn’t you rather make apple butter at home and know exactly what’s in it? 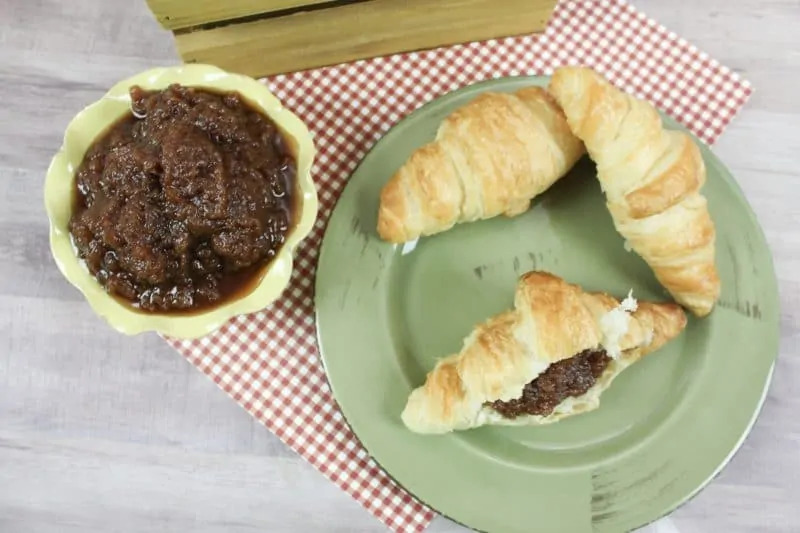 Once you discover how easy this recipe is to make, chances are you’ll be making crockpot apple butter throughout fall. Not only will you enjoy eating this, but it makes an amazing gift. Just pour your homemade apple butter into a mason jar and add a pretty ribbon and a label. The apple butter can be stored in the refrigerator for up to 2 weeks. If you actually can your homemade apple butter, it will last much, much longer. Add the white sugar, brown sugar, cinnamon and vanilla. Toss the apples until completely coated. 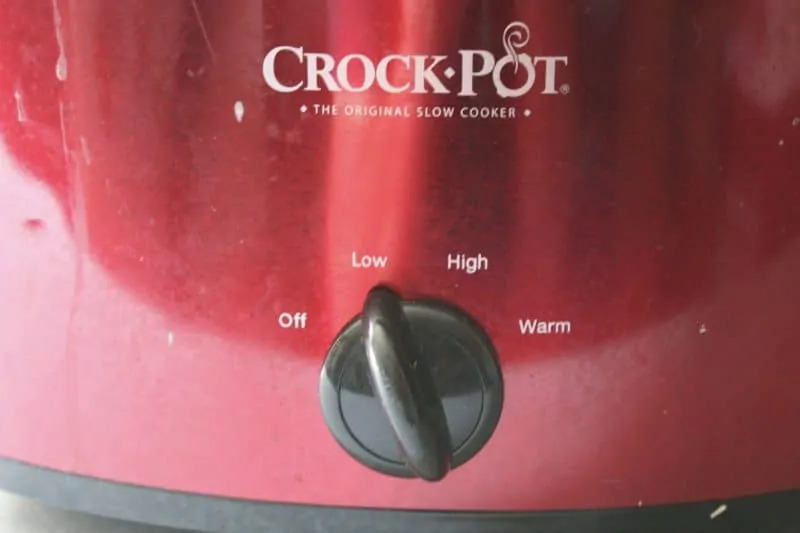 Cook in crockpot for 10 hours on LOW. Stir (very) occasionally, if desired. After 10 hours, the apple butter will be dark and thickened. 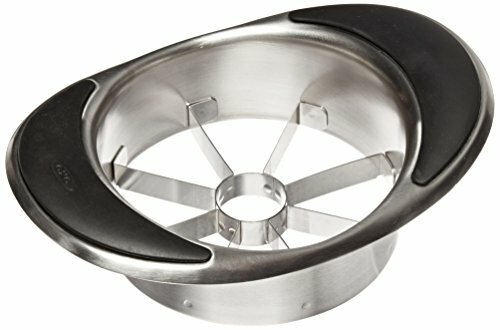 Whisk to make it a bit more smooth. 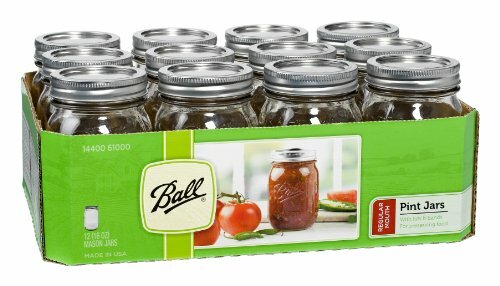 Spoon into jars and store in refrigerator for up to 2 weeks. 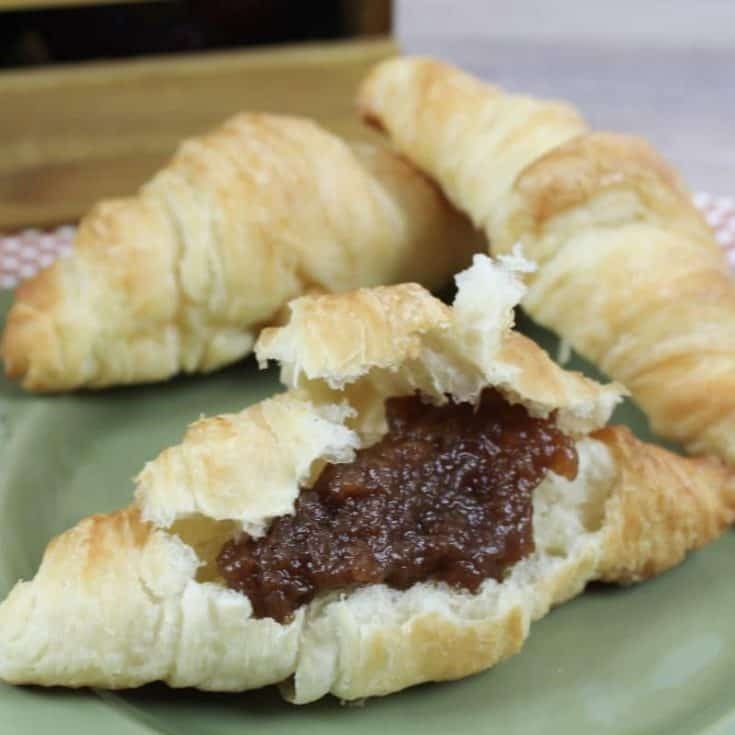 Enjoy your apple butter on toast, an English muffin, a croissant, or on a spoon straight out of the jar! 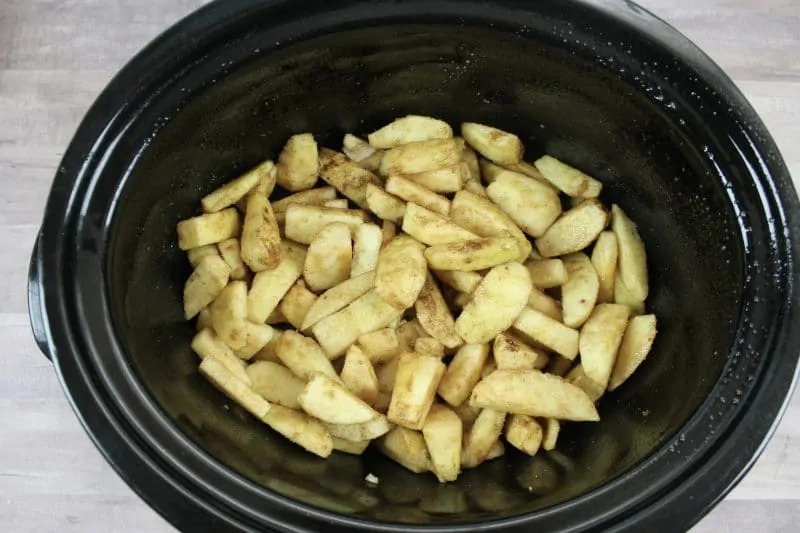 Add apples, white sugar, brown sugar, cinnamon and vanilla to crockpot. Toss the apples until completely coated. Cook for 10 hours on low. Stir occasionally, if desired. After 10 hours, the apple butter will be dark and thickened. 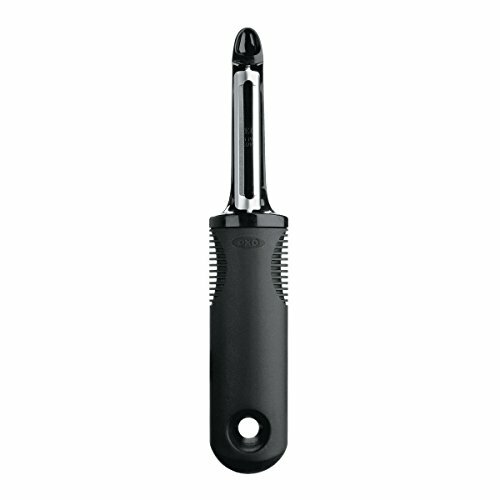 Whisk to make it a bit more smooth. Spoon apple butter into jars and store in refrigerator for up to 2 weeks. Oooh I still have apples leftover from apple picking!! Totally making this!! It looks amazing and super easy! Oh yum! This looks so simple. Love when I can use up the bounty of apple picking on something like this. It’s great to share with others! This would make a really good holiday breakfast. I will have to return to your blog to get the recipe closer to the holidays.